We are proud to announce the introduction of our New Grassroots Endurance League! This has been created to encourage and celebrate the fantastic impact Endurance has on participants and the groups. You can only take part if your group have already registered for RDA Endurance and the distance can only be accumulated through Endurance sessions. However, setting up your Endurance group could not be easier – all you need to do is fill out the Extension of Activities form and if you ride over any borrowed land, a copy of the landowner’s permission. Since its launch in 2012, Endurance has become a hugely popular activity at Riding for the Disabled Association (RDA), where 28,000 people with disabilities benefit from the therapeutic effects of riding and carriage driving. 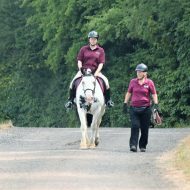 With levels to suit all abilities and riding environments, RDA Endurance offers a new and exciting challenge to riders, and a chance for Coaches to get their teeth into something a bit different. Do you know how fast your pony can walk, trot and canter? Have a go, start at 1km and progress to higher distances! Groups that are already able to hack out would be an ideal venue to hold Endurance sessions, although if this was not an option for your group, then shorter distance rides can be organised within an arena. It may make things more interesting to include obstacles such as poles and a gate and a 1km ride within an arena would be approximately 8 circuits depending on the size of the arena. 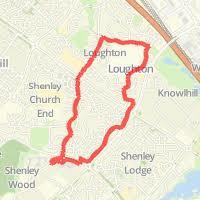 A route would need to be created of either 1km,2km,3km,5km,10km or 15km long (but remember if you have any route you can incorporate longer distances by looping across). How does a Group add Endurance as an activity? It’s easy – any Coach can run Endurance sessions; and no assesment of the group is required! All you would need to fill out is the Application Form to add Endurance to Activities and return to Lucy Stokes at National Office. Once registered you are able to start planning your first ride! Want to find out more or begin long distances? With Riding for the Disabled now having 100 centres offering endurance riding distances from 1km-15km giving you a great way to get a taste of our exciting discipline, Endurance GB then takes over the reins to provide you with low distance pleasure rides through our Local Groups structure ranging in distance from 5km-34km and with no minimum speeds required; we just ask that you get back to the venue by the latest time given by the ride organiser.